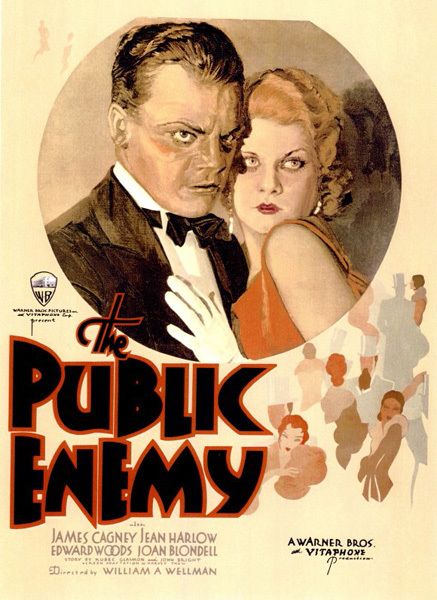 The Public Enemy (1931) made James Cagney a star. 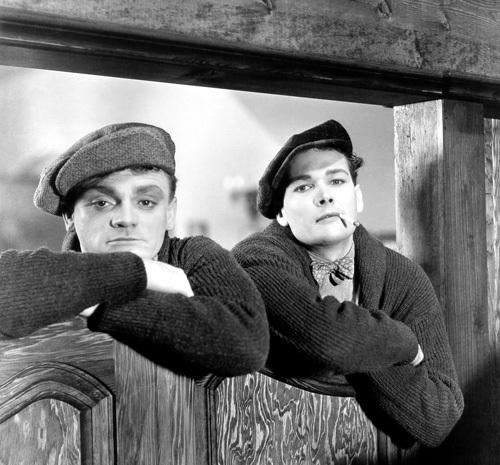 His unlikely opportunity could not have come at an earlier time, however. 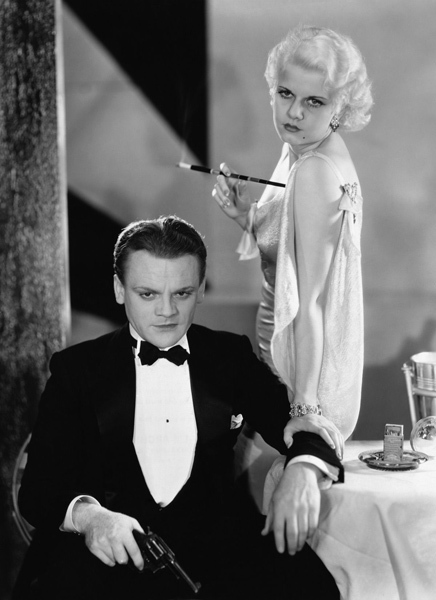 Prior to 1931, in the few years talkies had been around, Cagney would never have been cast. 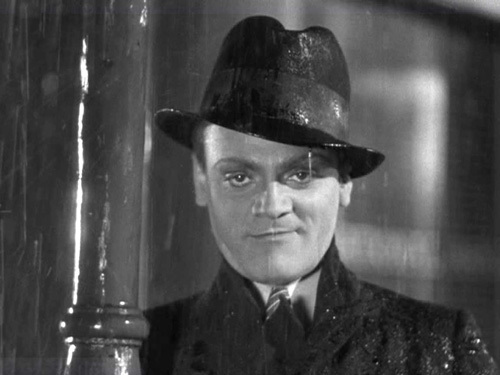 Not only short and homely, Cagney also had a rapid-fire manner of speaking that would have been incomprehensible on early recording technology. 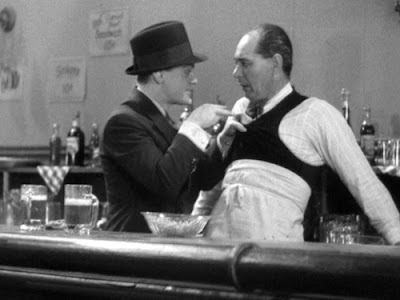 By 1931, however, microphone technology had advanced enough to make it possible... and Cagney's signature dialect has become and oft-parodied part of Pop culture. 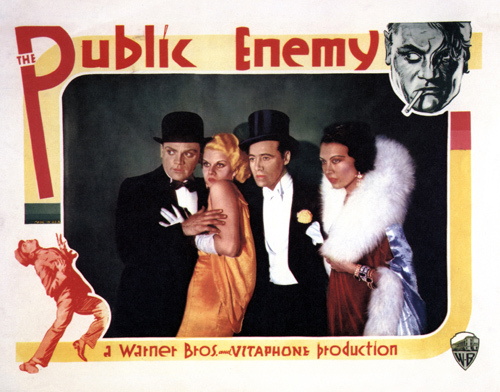 Made during the "pre-code" era, The Public Enemy had some taboo and suggestive elements that would not have passed the board of censors later on. 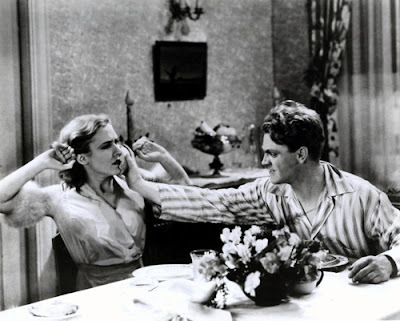 Known for the famous scene in which Cagney smashes a grapefruit in Mae Clarke's surprised face, Cagney later joked that Clarke's husband had memorized the exact time when the incident happened in the film and made a point to watch it over and over again.